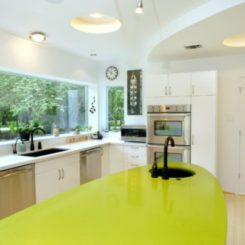 There’s no faster way to freshen up the decor of your home than by adopting some of the latest interior design trends. While some have been making their way to the forefront over the past year or so, others are very new for 2018. 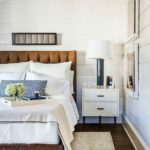 Incorporating new interior design trends doesn’t mean that you have to change everything in your space. Usually, a few additions and swaps can transform a room into new, more au courant look. Here are 15 of the best designer-identified trends for you to try. No need to convert the living room to Jungalow style. Just add a few tropical touches. Print can be used in small or large doses to bring life to many interior decor styles. 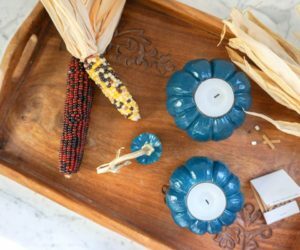 Blue is a fairly classic color for the home, but the more inky and indigo shades are taking center stage in the current trend. 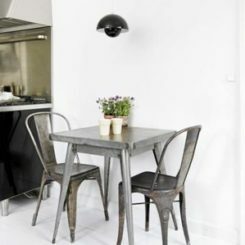 Shades that have hints of gray and are muted and distressed are a good fit with today’s more casual spaces. Many of the latest hues also work as a neutral and are easily incorporated into existing decor schemes. 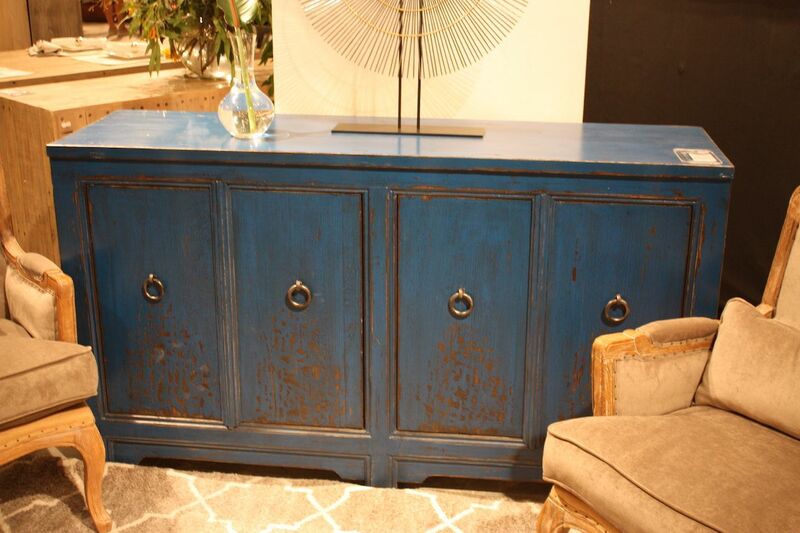 The credenza from Classic Home is a slightly brighter shade, but the distressed finish tones down the overall look of the blue. And, while it does ad color to a room full of beige furniture, it’s not so bright as to be considered a real pop of color. 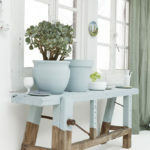 Either on the walls, floor or a piece of furniture, inky and dusty blue shades are trending. Much-maligned over the past decade or more, wallpaper has changed its look. It is now more art than eyesore and can be used to add texture and pattern to walls in myriad different ways. 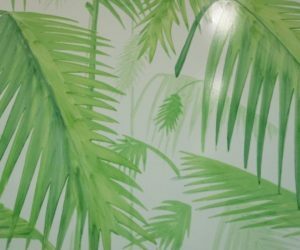 In addition, digital printing has made mural-style wallpaper, like this one from Calico Wallpaper, a possibility at a lower price point than before. 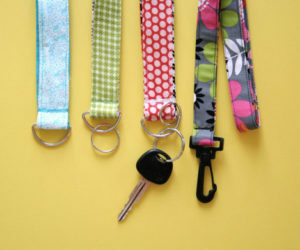 Retro patterns that feature extra-large motifs and bold colors, abstract color designs and very fashionable moody florals are just some of the offerings available. This is an interior design trend that is easy to incorporate, especially for a feature wall to draw attention to a particular area of your space. 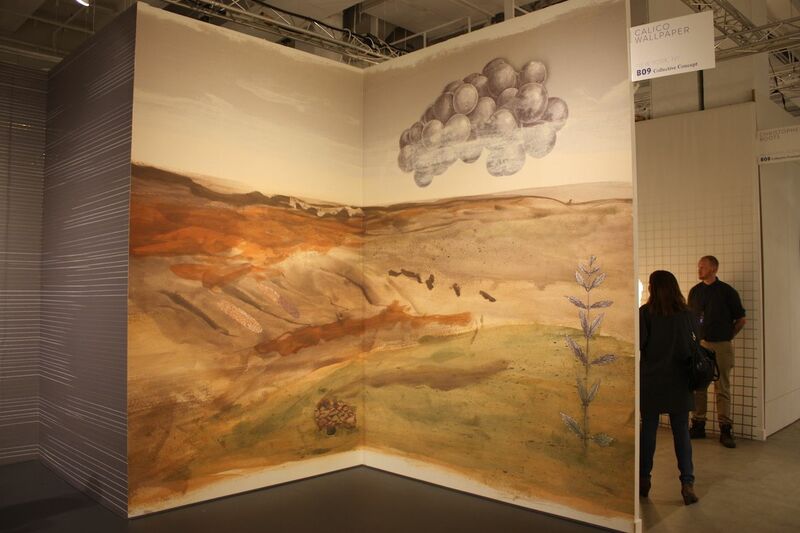 Mural wallpapers are very common, made more accessible through modern digital printing. More than just pastels, the ice-cream colors that make up the newest interior design trend are a little bolder and more saturated than the typical delicate shades. 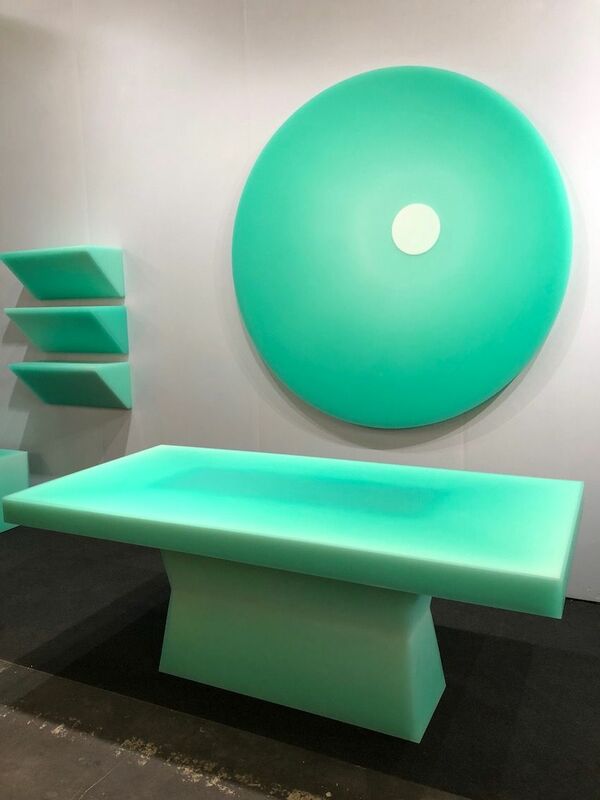 This satin-smooth resin furniture from Fracture Studio is a great example. The color is almost like a big bowl of lime sherbet and you’d have a hard time categorizing it as a pastel. They’re amped up, audacious hues to enliven a room. If a full set in is too much, try using just a piece or two to bring colorful freshness to a space. Pastel colors that are revved up a few notches make up the ice cream color palette. 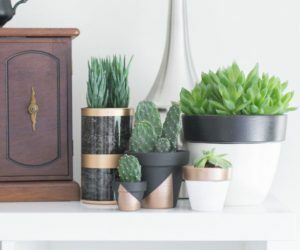 Dark and moody florals — all the rage in fashion — are now trending in home decor as well. 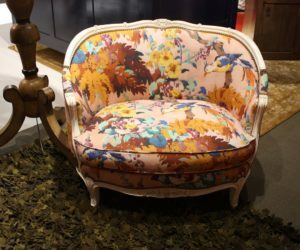 Perhaps not all are dark, but furniture, accessories and textiles are featuring flowers, greenery, wildlife and butterflies. 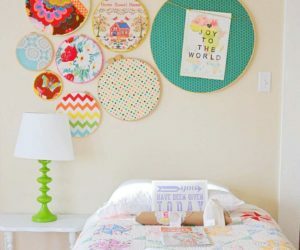 Even though we’ve also heard that chintz is making a comeback, you’ll want to avoid creating a room that looks like something grandma would have had. 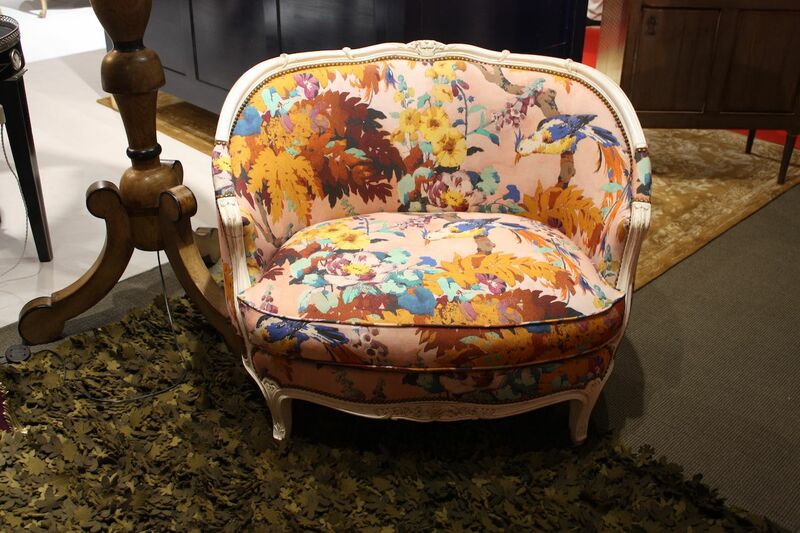 Try one upholstered accent piece in a dramatic floral, like this armchair from Moissonier, or liven up a neutral space with diaphanous curtains that feature butterflies. 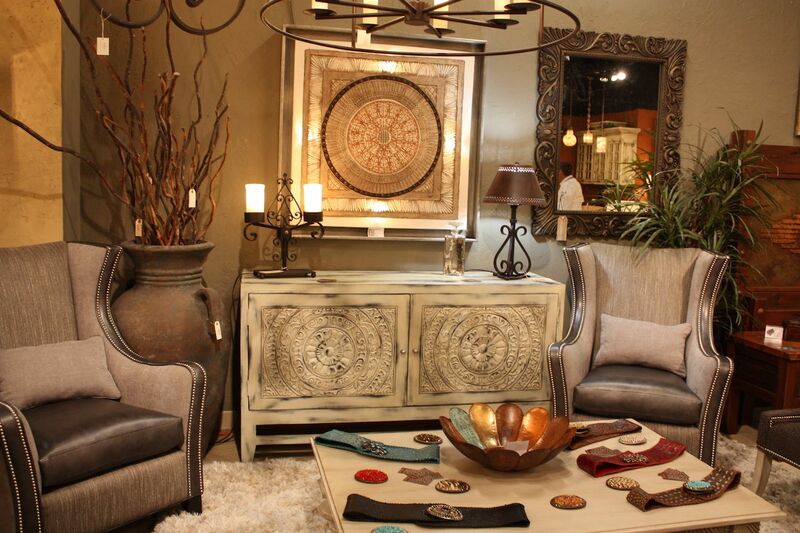 Or, use smaller accents pieces or tableware to add living elements to a room. 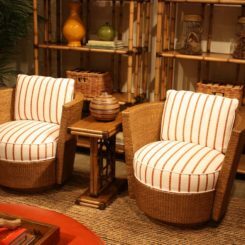 Elements of global design have been making their way into our homes over the years and this particular interior design trend is another way to include a touch of the tropics. You don’t have to convert your living room to a seaside theme or a full Jungalow look. Just adding a few tropical touches can make a big difference. 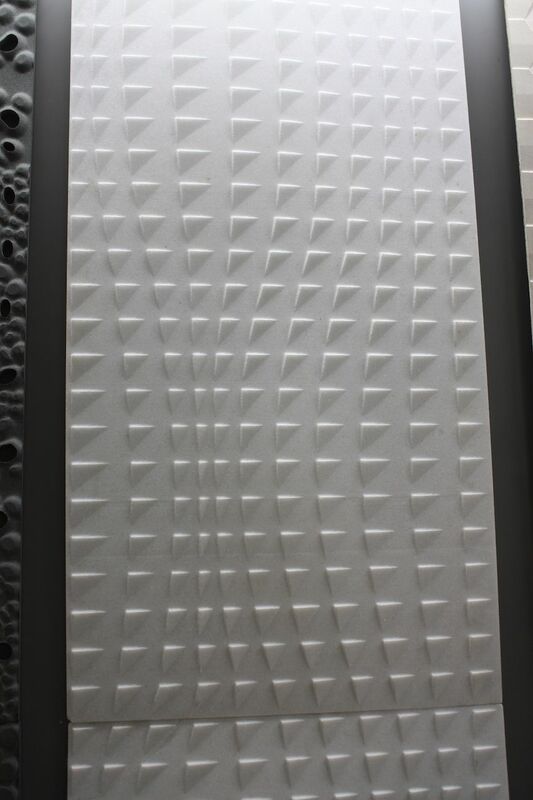 This Ceramica Francesco de Maio tile is a great example of how you to give this feeling to a bathroom. 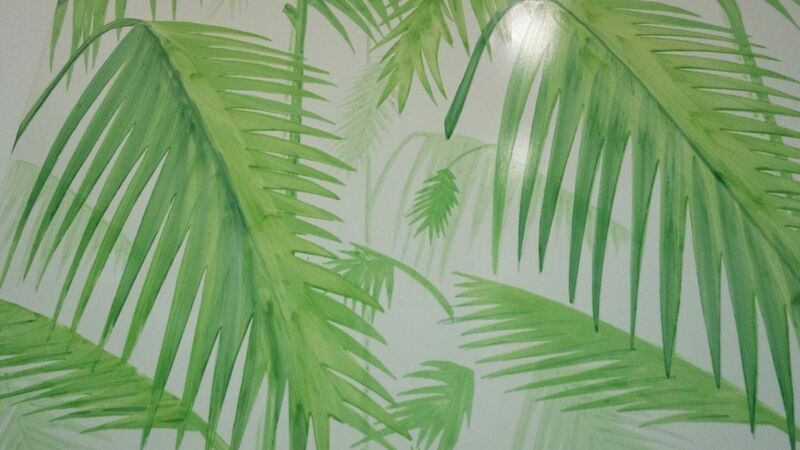 The green palm fronds as the background can be played up or down with the rest of the decor scheme. 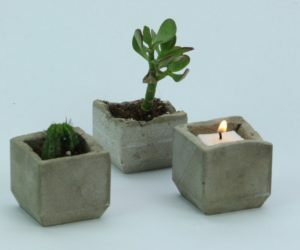 It is also a wonderful way to have greenery without having live plants. 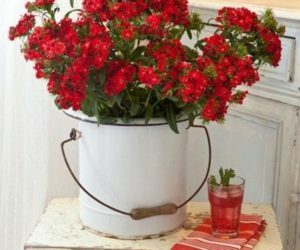 Far more interesting than the ubiquitous ficus tree, today’s popular houseplants vary from herbs that you can use in the kitchen to flowering plants and other lush greens. Not only do they add life to a room, they can also improve air quality — and your mood. Even if you don’t have a green thumb, you can incorporate at least a few houseplants into your decor, such as in the kitchen. 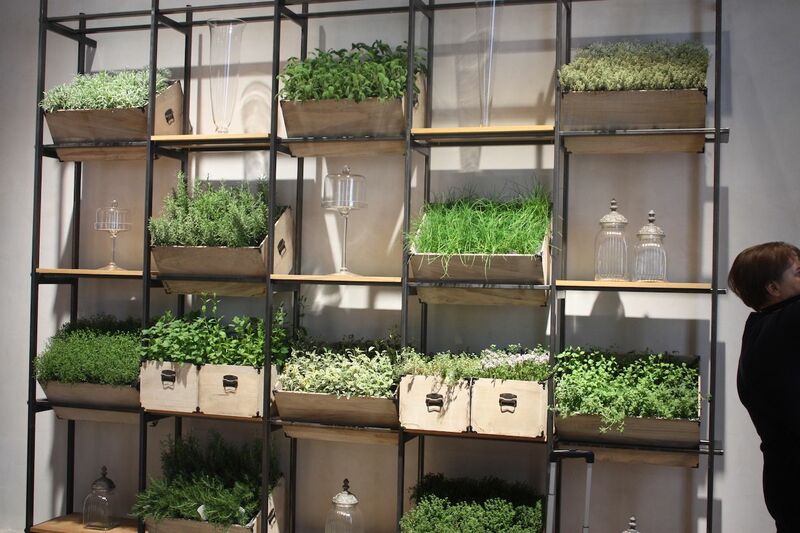 Herbs are decorative and useful. This is one of the best interior design trends because it brings a touch of the outdoors inside. 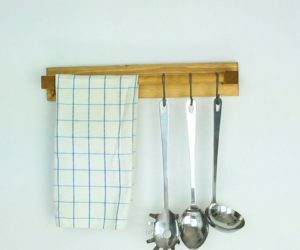 Herbs are a fantastic item to add to decor because they are useful in the kitchen too. 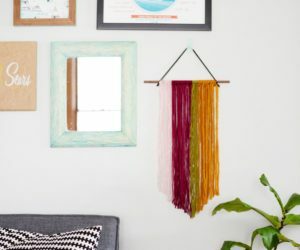 Ombre might be “out” for hairstyles, but it is certainly now in vogue for home decor. All types of ombre textiles for furnishings are available, along with rugs and accessories. Color ranges can be bold or more muted, like this mosaic tile from Tile Bar. 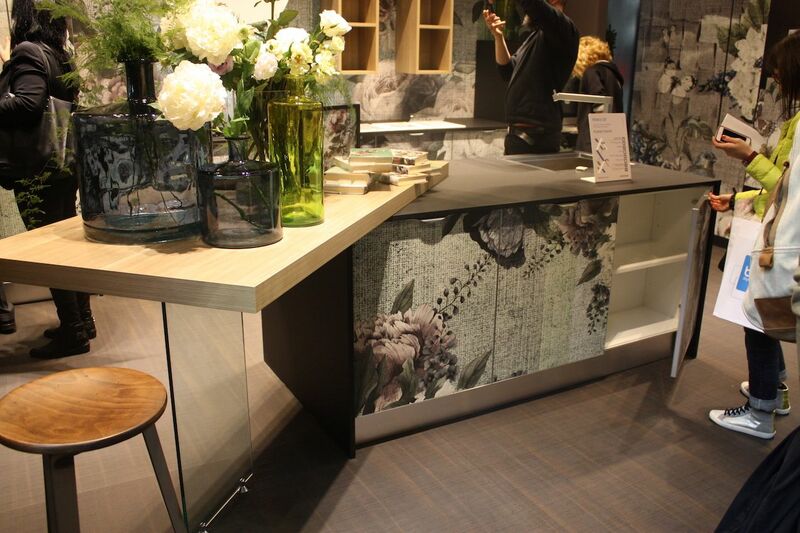 Wallcoverings also come in ombre designs, which are a great abstract motif for a feature wall. Ombre is a good way to add a range of colors in an unobtrusive way. 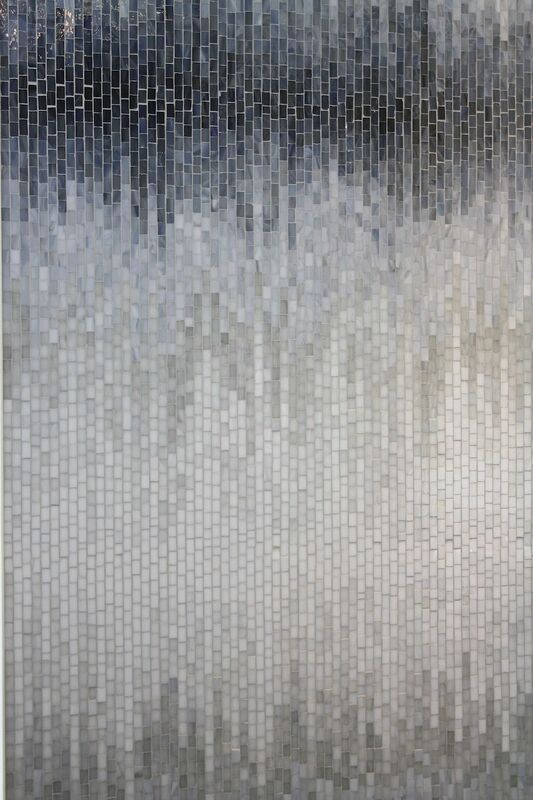 The gray to blue ombre of this mosaic is a neutral pattern with extra interest. The best new appliances from just about any brand include the latest tech innovations. Of course, that doesn’t mean you have to give up a style or look that you really like. 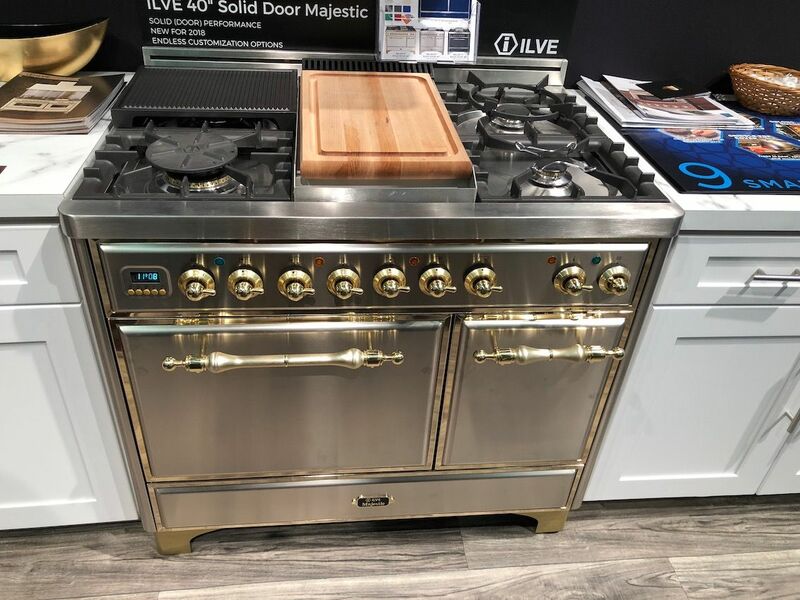 This new rage from ILVE is a great example, because it features the classic knobs that fans of the brand love, but also incorporates digital technology at the left of the knob panel. The interior of the range also includes the latest innovations. From LED lighting to endless customizable options, the kitchen is one of the prime areas for including smart technologies. 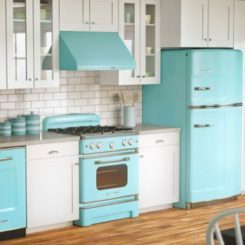 Classic looks can be combined with the latest kitchen innovations. With the popularity of recycling and upcycling, it’s no wonder that the modern vintage interior design trend is only increasing in popularity. 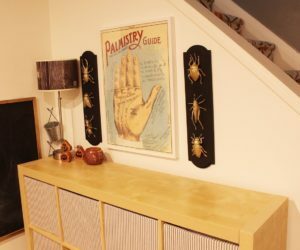 Shopping for vintage — or even reproductions of vintage items — makes it easy for homeowners to pick their favorite styles and incorporate them into today’s interiors. Whether culling memorable pieces reminiscent of their childhood years or just looking for items that have a history, fans of modern vintage have lots of choices in today’s market. 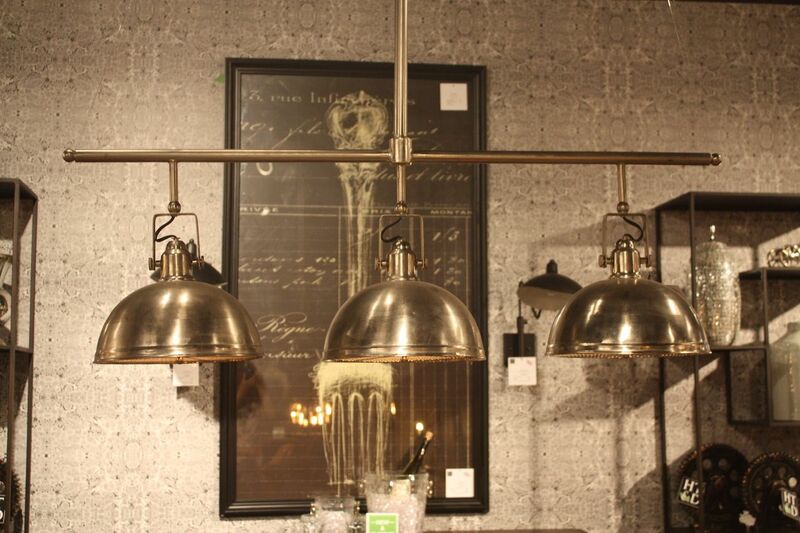 This lighting fixture from HT&D is a reproduction as is the print on the wall behind it. True vintage or reproduction, the shapes and styles are very appealing. 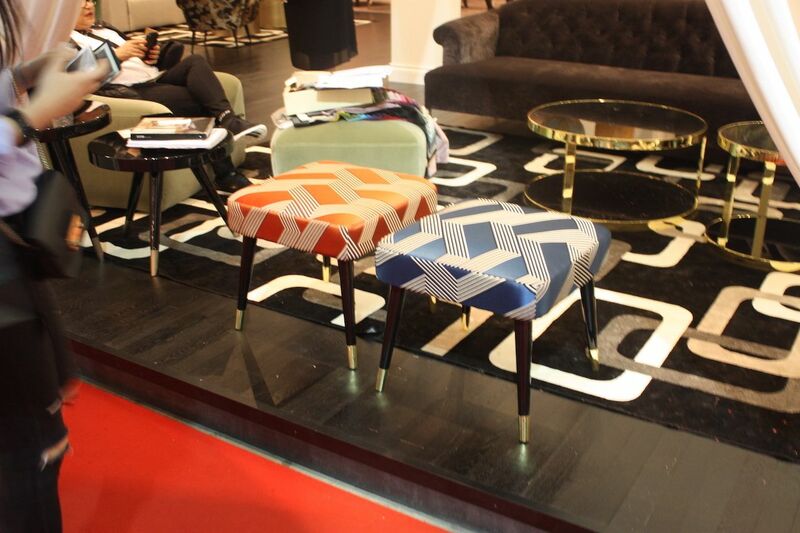 Goodbye chevrons and hello geometric patterns of all kinds! Whether they’re the pattern on the rug, the furniture or the walls, geometrics are one of the hot interior design trends for 2018. This rising trend means you can move past the small accessories and incorporate geometrics on the curtains, the wall coverings or larger pieces of furniture. This living area incorporates several geometric pieces. The anchor is the large rug with rounded interlocking rectangles and a more avant garde pattern on the stools. Large scale geometrics are very dramatic. From silver to rose gold, metallic finishes have been popular interior design trends in recent years and now the pendulum has swung back to gold. This rich metal finish is highly demanded in luxury interiors and is now finding its way into decor of all types. 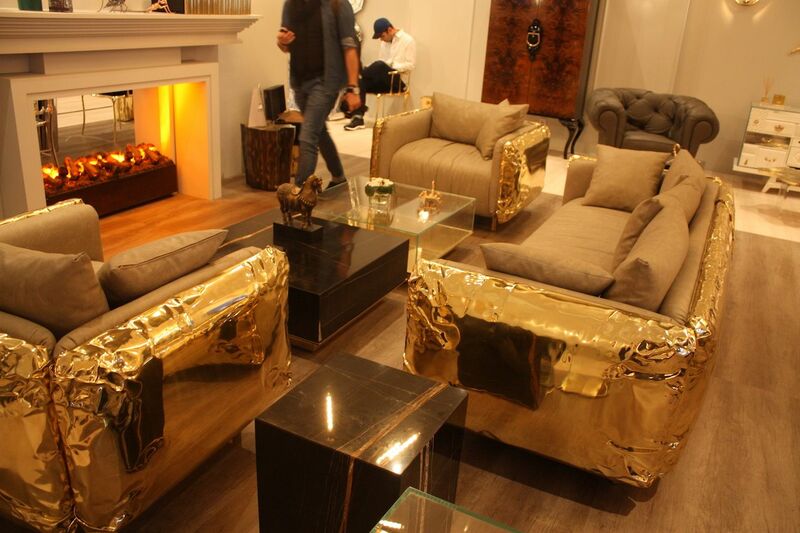 Designers are creating large, statement making pieces in glittery gold, like these sofas from Boca do Lobo of Portugal. For those who want a little less metal, gleaming accessories and accents in gold will still make an impact and freshen up a room. Large and imposing or small and delicate, golden metallics are trending. Mosaics and subway tiles are common choices for kitchens and baths, but large tiles are the fresh new choice. Oversized and sometimes textured, big tiles don’t need massive spaces to fit. 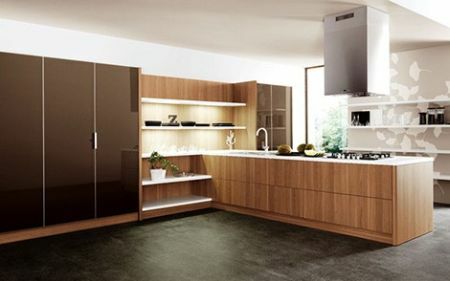 Modest-sized areas can accommodate large tiles, which might require more cutting, but also less grout. The large size allows for a design that seems more expansive. Large scale tiles also offer a variety of textures, geometries and designs that are more difficult — or impossible — to achieve with small tiles. A sinuous, raised design from Anoma is an example of the stunning designs to choose from. 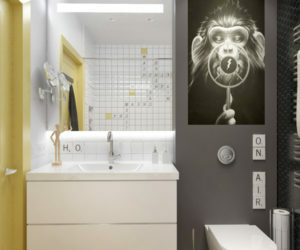 Large tiles offer different design possibilities. The times when everything had to matching are long gone — thank goodness — and the more interesting decor schemes mix materials and finishes. From the bedroom to the kitchen, mixing materials is a major interior design trend. No longer do all knobs and fixtures have to be the same metal tone. The most stylish kitchens artfully mix wood, stone and other surfaces on the counter tops and cabinets for a modern and distinctive look. 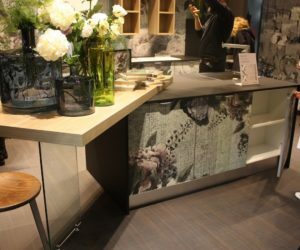 This kitchen by Aran is a good example of mixed finishes as it includes printed cabinets, two different countertop materials and a glass base. Another global motif rising as one of this year’s interior design trends is the mandala. It’s a design derived from Buddhism and the round decoration is appearing in all kinds of textiles, rugs and even furnishings. While they might have once been considered a “hippie” motif, more sophisticated styles and uses are available today. 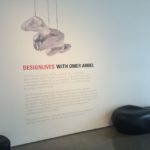 Some designers have pegged mandalas as one of the biggest new interior design trends for this year. 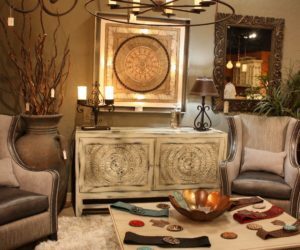 It’s a possibility, especially when to take a look at this room from Bella Rustica, which features a mandala design in the artwork as well as on the cabinet. After a long period of neutrals and utilitarian decor, glamour is making a comeback. 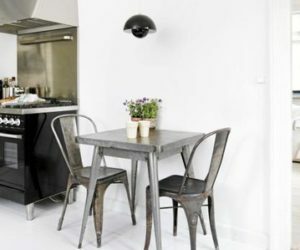 Whether at the luxury end of the spectrum or at a more budget level, this is one of those interior design trends that you can adapt to your own space. Small elements of glamour such as fur or gold pieces can lend an air of allure to a space. The bedroom is the most natural place for glamour and probably the easiest to decorate in this way. This example from Christopher Guy is a stunning bedroom that screams glamour. If you take a close look, the vibe comes from the headboard and the fur pillows, which are the sole elements of glamour. 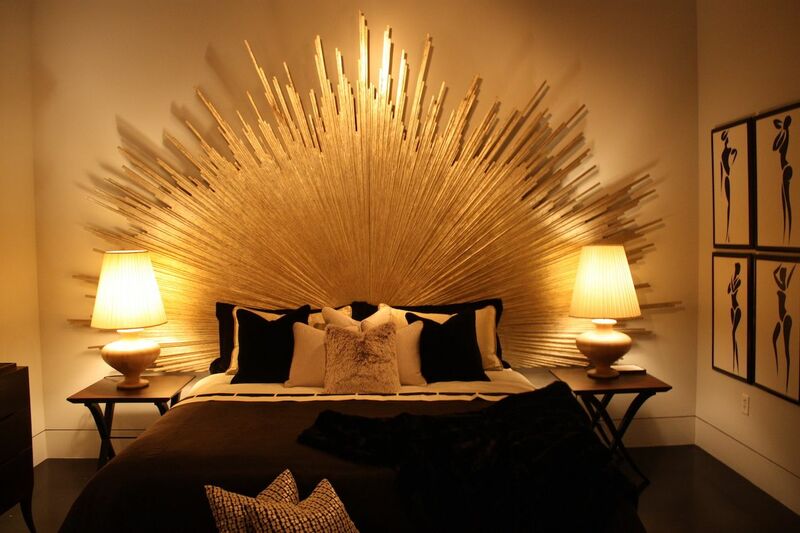 One major element like the headboard make the whole room glamorous. 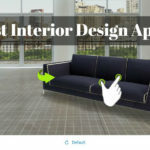 These are 15 of the major interior design trends of 2018 and there are at least a few that can be incorporated into almost any home. The most important thing is to choose the ones that fit your family’s lifestyle and your personal preferences. Which ones will you try?